NuGet Gallery | Packages matching Tags:"variables"
32 packages returned for Tags:"variables"
Enver is a helper library that populates properties on your classes from environment variables that you define. 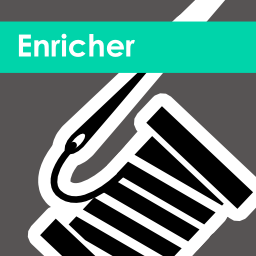 Enrich Serilog event with environment variables. Replace placeholders from appsettings files with values loaded from environment variables. Configure your .Net application via environment variables in a sane manner. Cake addin for the deployment variables management. Load environment variables and ensure they're all present. Razor templates for custom file types that allows to use Razor engine features in any files. Library for working with Environment Variables which helps with testing. SXCore.Lexems is a small library to use Text Expressions with Functions and Variables, that could be calculated on the fly. Provides access to configuration files and environment variables for client applications. A fluent api that will help you to match patterns of primitives. So basically a switch statement with multiple variables.